Headed capital raising, mergers & acquisitions, and investor relations. PAETEC was a middle market company that grew to a publicly traded Fortune 1000 competitive telecommunication provider that was sold to Windstream Communications for $2.3 Billion. During 2006-2012, PAETEC's EBITDA quadrupled from $100MM to $400MM. M&A: oversaw 11 acquisitions and subsequent synergy goal achievement and integration—three acquisitions>$100MM, three acquisitions between $10MM and $100MM, and five acquisitions <$10MM. Board of Directors member (Chair of Special Committee) for Liberman Broadcasting, Inc. (LBI). LBI (of which Oaktree Capital Management owns 20%) is a Spanish language broadcaster with both radio and TV stations in Los Angeles, Dallas, and Houston. LBI also produces over 50 hours of live programming each week through its Estrella TV network. Pete counsels management on debt capital issues and transaction opportunities (LBI has over $500 Million in debt capital outstanding). Ethan has a background in public company analysis and M&A. 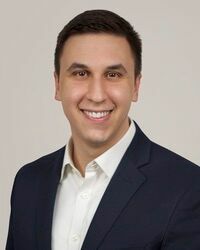 Previously, Ethan was an Analyst with Melvin Capital in New York City responsible for sourcing and evaluating public market investments with a short-bias across Technology, Healthcare, Financials, and Industrials sectors. Ethan built operating and valuation models, developed primary industry- and market-research, and composed investment summaries and complementary materials for prospective positions. Prior to Melvin Capital, Ethan was an Analyst with The Blackstone Group in NYC responsible for mergers & acquisition and corporate advisory assignments across Industrials, Healthcare, and Media & Communications sectors. Ethan performed valuation and transaction analyses, created presentation and supplementary materials, and supported due diligence efforts. Ethan is a graduate of The University of Texas at Austin – B.B.A. Finance 2014.